Police Officers, Fire Fighters, Veterans, Teachers, first responders, and other Heroes in our community can save thousands on their mortgage and real estate transaction through the Homes for Heroes Colorado program. The Colorado Homes for Heroes program is a program designed to honor community heroes who give back so much, to provide a more affordable home purchase or refinance. The program enables Heroes to save through a Colorado Homes for Heroes lender and realize additional savings by partnering with a Homes for Heroes Realtor in Colorado. As a Hero lender, we also have a network of affiliates who offer additional discounts on real estate related services and products such as movers, home inspectors, and moving supply companies. Tap into our hero network and you can save our thousands of dollars off your home purchase! The following heroes are eligible: Teachers, Fire Fighters, Police Officers, Veterans, Active Duty Military, First Responders and Hospital workers, and non-profit employees. 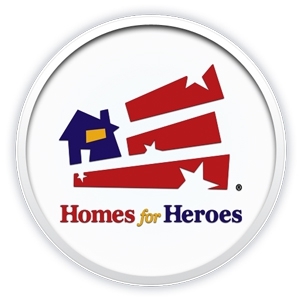 Find out more about Homes for Heroes at the official website. There is another program that can save you even more on your home purchase. We are one of only a few Colorado lenders who can offer the Colorado Home Buyer Tax Credit, or MCC Colorado. The tax credit allows you to use a percentage of your mortgage interest as a tax credit at the end of each year. A tax credit as opposed to a tax deduction, is a dollar-for-dollar reduction of the home owner's tax liability. On average, we are seeing a savings of $125-$200 per month, and sometimes more, through the tax credit. The savings is good for the life of your loan as long as you are living in the home as your primary residence. To find a lender who can offer both the Colorado Homes for Heroes program and the tax credit is rare. We do both, and also have in-house underwriting and funding, which can be critical for a hassle-free loan process and an on-time closing. Call RJ Baxter at 303-670-0137 or visit us at www.cohomesandloans.com to find out if you qualify for the Homes for Heroes Colorado program and the Colorado tax credit!